William Uranga is TiVo Inc.‘s Director of Talent Acquisition and the founder of the San Francisco Bay Area Recruiting Leadership Forum. 1) How did you get into recruiting/talent acquisition? 2) What are your favorite recruiting tools? My cop-out answer is the Internet. To be more specific it's the Google Apps. I could run any operation if I had to using them: research (search/rss reader), db (apps), process, documents and communication (gmail/chat). 3) What do you find is different about recruiting in Silicon Valley? Well, I hear from folks elsewhere that we're scrappier. I'm not sure if we lack “polish” or more of a “get it done” attitude. There is a lot of diversity both in industry and in ethnicity which makes it really interesting (in a fun way) in the creation of teams and companies. 4) What are some recent trends in Valley recruiting? 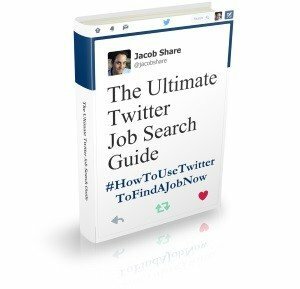 5) What are the most annoying practices that job seekers are using in the Valley? Job seekers who mail/fax their resume. After that? Those who apply and say they know about “TiVo” – most quickly show they haven't done their homework (psst, use the Internet). Hint: TiVo went way beyond the box 4 years ago. When they don't bother to read up, I feel like I'm on a bad first date – and there's not going to be a second. 6) What are the most annoying practices that recruiters are using in the Valley? Well, not just in the Valley, but everywhere – most recruiters think only in terms of their discipline: recruiting. It took me a while to get beyond that one-dimensional thinking. Several of my a-ha! moments came as I was talking with client groups, researching what tools and operations would be useful to them (again, the client, not just me in HR). Taking classes in other disciplines, like project management and marketing will make you better at your craft and not just the process of recruiting. 7) With the economic crisis in mind, how do you think Valley recruiting will change over the next 6-12 months? It could be longer – so beware of the “experts”! I think there are two camps of thought that are not too unfamiliar to other areas: a) circle the wagons, do our job and maybe they'll keep us longer or we should all be looking for a back up plan or b) this is a great opportunity to redefine what we do, offer more client-relevant solutions, and expand our role (to more quality, more HR). 8) If someone wanted to get started recruiting in the Valley today, how should they go about it? Well degrees and certifications are perhaps a cute start. However the reality is that the current body of world knowledge that a freshmen in college learns will be obsolete by their senior year. So a) you need to be constantly learning, always a student and b) build yourself a cadre of mentors. I have found some in the places where I've worked, some in social media and others by joining (or creating) a helpful association. 9) What would you have done differently in starting your own recruiting career? I probably would have changed my major to business, marketing or finance. I would have liked to have had a mentor (in a career sense) when I left college. 10) Do you do anything differently when recruiting a recruiter? Obtain references from prior client groups, both hiring managers and those placed in it. Listen to how they problem solve. I'll give them a current search we're working on and ask them to source right then and there via a laptop or bring it back (as homework) showing their process, strings and results. Hear from them how their prior companies/agencies are better off for that recruiting having worked there. I just can't hire a recruiter who can only demonstrate their worth by their hires. Yes, the act of recruiting is important, but it's only one dimension of the person that will make my company better. In this age, you have to be self-directed about your learning and on-going education. I ask about how they, as a recruiter, keep up on things in the industry and recruiting. Taking a few classes, joining a mailing list isn't enough. I want someone who is really engaged and is giving back what they have learned/been given. 11) Can you share an unforgettable recruiting horror story? We once interviewed a candidate for the role of CFO who conveyed where he was in his career, “Yeah, I really don't want to work that hard…” Y'gotta be kidding me, right? 12) You created the Recruiting Leadership Forum (RLF). What is it and and what are its goals? It started about a year ago with a peer of mine. We had met for coffee and discussed how frontline recruiters and even senior HR execs had gatherings for their kind to share and learn. Yet there was nothing for those of us who were leading the corporate recruiting function in the Bay Area. It seems to float between the tactical and the very high strategic stuff. So we started a group for us and invited our peers. It's a monthly meeting where we have a peer present a project and we discuss/critique. It's a safe place, nothing is recorded and we say how things really are and share our strategies, tools and opinions. RLF has a minimal online presence for this obvious reason (see not everything in the Silicon Valley has to be tech-based) – its about personal interaction. Thanks for your time, William. Thanks also to HR pro Jessica Lee for introducing us. Get recruited now. 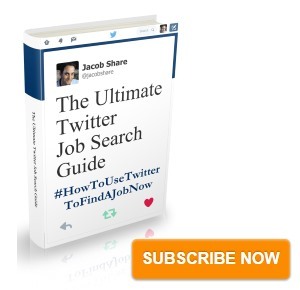 Subscribe to JobMob via RSS or email and follow me on Twitter to learn how you can help recruiters help you. Interesting Interview with some very insightful and non-cookie cutter answers. I’m glad I read this, always nice to learn something new and also re-inforce fundamental keys to success.